Beach day. 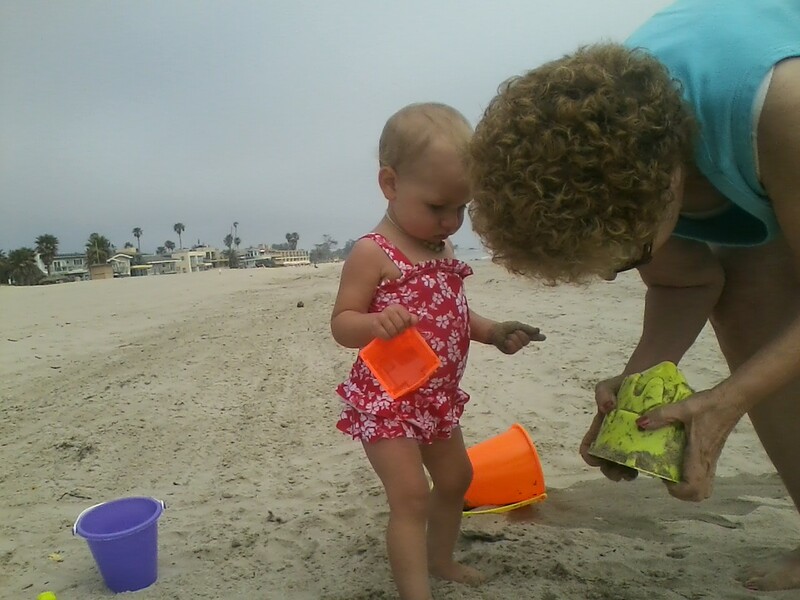 I am making sand castles with Nana and Mama, and using all these fun sand tools. I found a seashell in the sand. Last time I went to the Atlantic Ocean and now I am at the Pacific. The Pacific is better because now I can walk and use tools. And the sand tastes just as good. It is kind of hard to walk in but better wiith no shoes. The sand makes a cool noise when I hit it with my shovel. I am learning how to use a spoon and it is fun to use the shovel like a big spoon. Nana shows me how to use different tools and brings me shells and driftwood to decorate my castle. A whole flock of pelicans flies over our heads, making a cool shape in the sky. There are maybe a hundred. I say I love them. I also love a bright kite near our beach spot. I am still using my shovels, putting two in a bucket of wet sands and taking them out. I sing a little song and clap my hands. Can I have a sandbox for my house please? I might go in the ocean later; I might not. I’m very happy here.